TONIGHT!! 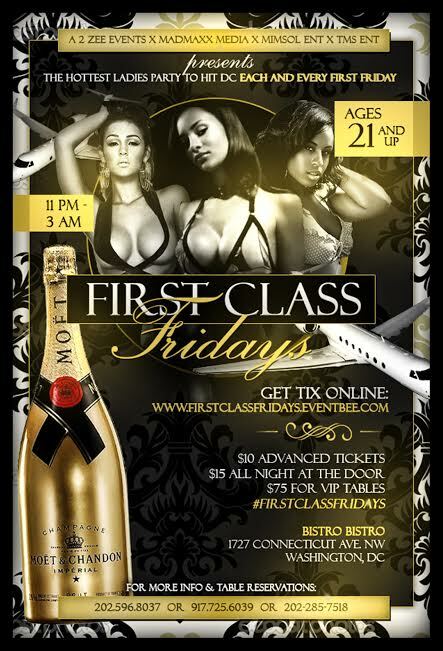 #FirstClassFridays at Bistro Bistro in DC 11p-3a! TONIGHT!! #FirstClassFridays at Bistro Bistro 11p-3a.. #TheRedParty! Come party for a Cause….Bringing awareness and acknowledgement of National Black HIV/AIDS Awareness Day. TONIGHT!! 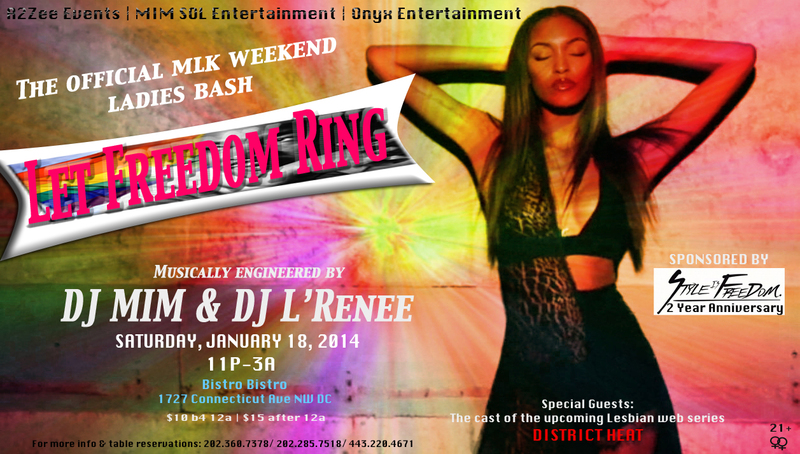 #LetFreedomRing at Bistro Bistro 11p-3a! “LET FREEDOM RING” at Bistro Bistro! 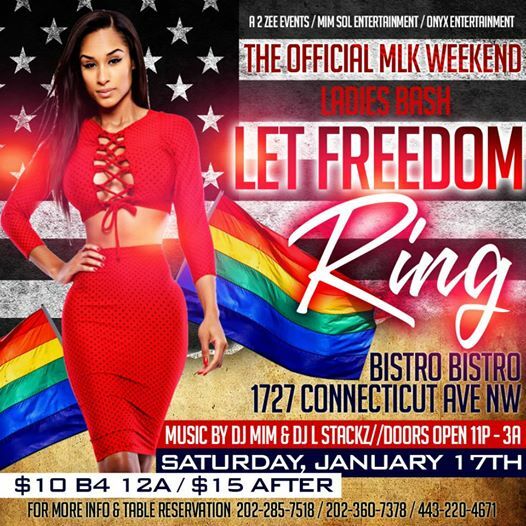 Get READY to PARTY for the 3 day MLK Weekend in DC with 100’s of beautiful WOMEN, 3 of your favorite Lesbian promoters, 2 HOT Lesbian DJs, a Lesbian web series cast and a Lesbian entrepreneur/clothing designer!! * The cast of the upcoming Lesbian web series District Heat!! ALL the way from NYC – Toni Branson will be in the building with giveaways and celebrating the 2 YEAR ANNIVERSARY of Style is Freedom!! This is a 21 and up event!! !